Alejo Carpentier (born as Alejo Carpentier y Valmont in Lausanne, Switzerland, died in Paris, France) was a famous Novelist from Cuba, who lived between December 26, 1904 and April 24, 1980. He became 75 years old. 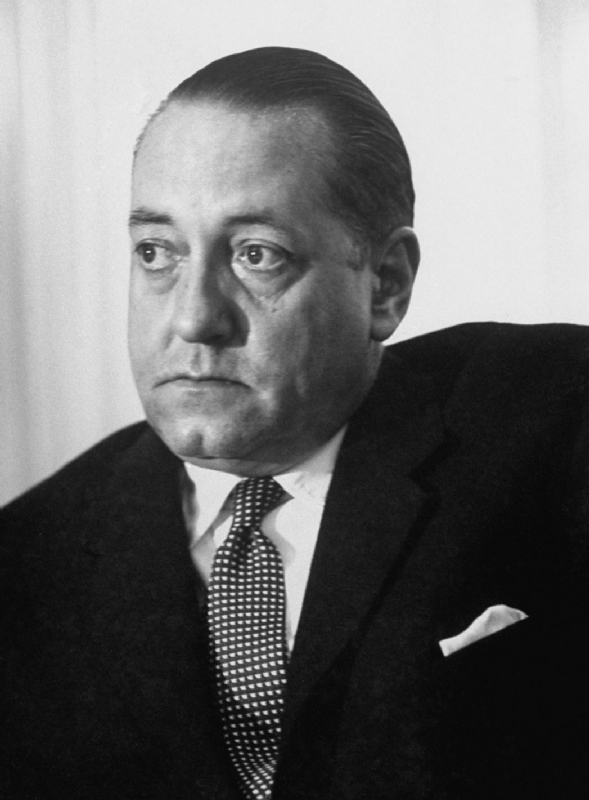 Alejo Carpentier was a Cuban writer and musicologist who greatly influenced Latin American literature during its "boom" period. For a long time thought that he was born in Havana, Cuba, where he moved directly after birth, but after his death found a birth certificate in Switzerland. His mother was a Russian language professor and his father was a French architect. When he was twelve years old the family moved to Paris where he began studying music theory. Then they returned to Cuba, he studied architecture, but he never finished the training. He was left a journalist and spent some time in jail before he went into exile in France. There he met the surrealists Andre Breton, Paul Eluard, Louis Aragon, Jacques Prevert, and Antonin Artaud. Meanwhile in France, he also made several trips to Spain where he developed a fascination with the baroque. He returned to Cuba and continued to work as a journalist. There, he visited a voodoo ceremony that was to develop his interest in afrokubanism. 1943 he made an important trip to Haiti, where he visited the fort La Ferriere and Sans-Souci Palace, both built by the black king Henri Christophe. Carpentier battled cancer since he completed his last novel and died in Paris 24 April 1980. Our collection contains 3 quotes who is written / told by Alejo. "I gladly accepted the commission but was uncertain about what the end result would be. On the one hand, Cuban music was conquering the world; being heard everywhere, and our small island was already producing one of the popular musical genres of the 20th century"
"I studied harmony and composition in a very spontaneous manner"
"Those who have always had faith in its final success can do no less than rejoice as if it was our own triumph after five years of daily struggle to impose Cuban music on the European continent"